Poor Richard: The Almanacks for the Years 1733-1758...by Richard Saunders. Now Containing an Introduction by Van Wyck Brooks and embellish'd with illustrations by Norman Rockwell. 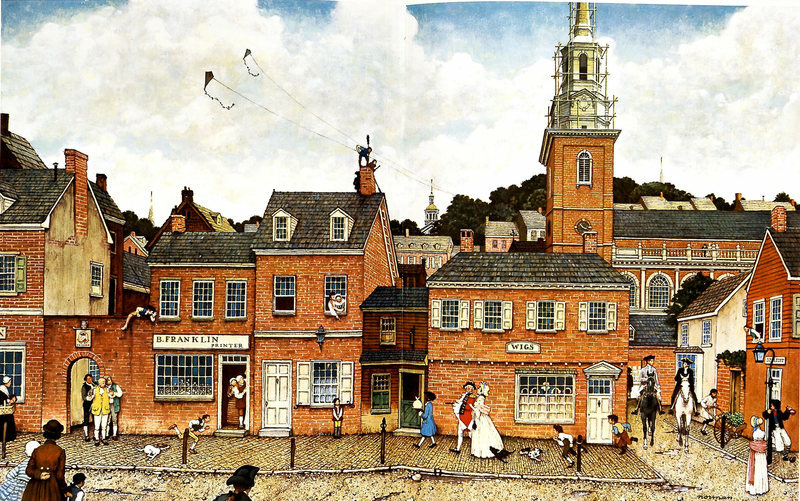 Philadelphia: Newly set into type expressly for the Members of the Limited Editions Club, 1964. 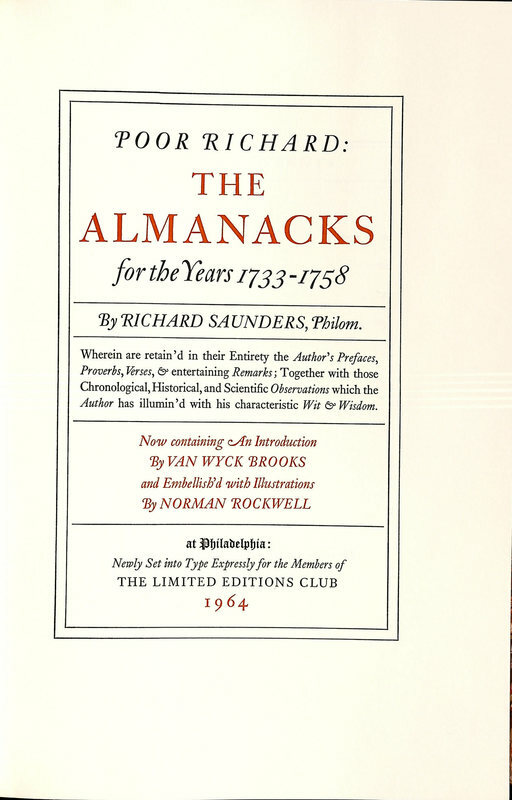 Illustrated with pen drawings and oil paintings by famous American artist Norman Rockwell (1894-1978), this edition contains the "text of each of the twenty-six issues of Poor Richard's Almanack... For the most part, meteorological and astronomical material has been omitted, as well as a few factual articles..."